The Dorchester, Park Lane, London. 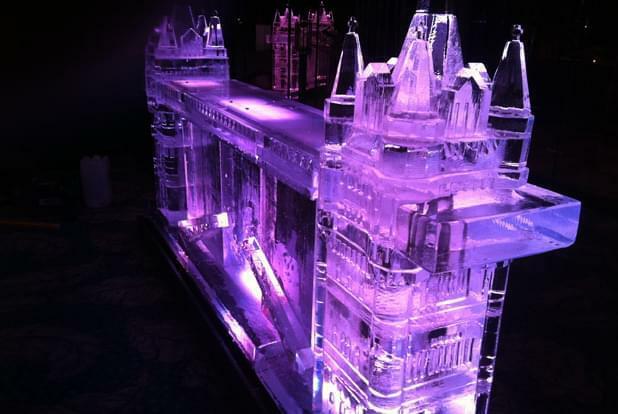 The Creative Brief: Partridge Events approached us to provide a solution in keeping to a strong London theme, while providing an Ice Bar that sushi and seafood could also be served from. The exclusive, invitation reception was to be held at London’s Dorchester Hotel, during International Petroleum Week. This had to be something spectacular to impress the guests and a proposal was made also to include a sculpture of an offshore drilling rig, linked to the clients company. There were also tight time constraints in the installation having to be completely installed in less than an hour from the time access was allowed from. 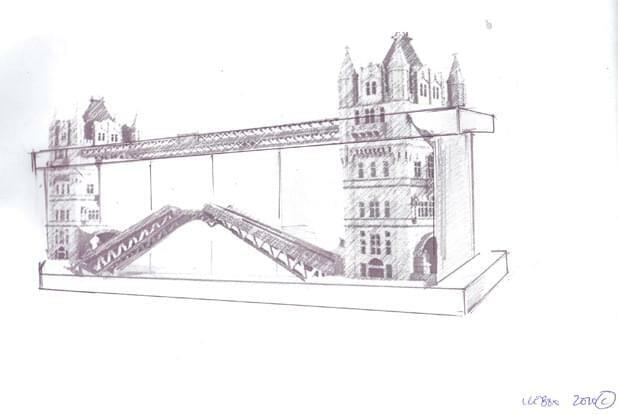 Innovative Solution: The experienced Icebox team carried out the task perfectly, managing the time challenges and the creative element professionally, and efficiently. 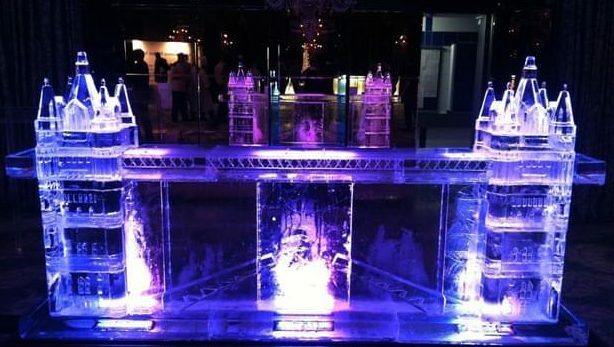 The design of the ice bar as a replica of London’s Tower Bridge, incorporating the client’s branding and working as a fully functional sushi bar was simply stunning. The large scale replica of an offshore oil drilling rig, sitting 2.5 m high, in amazing detail was presented with branded fascia as the central room feature. 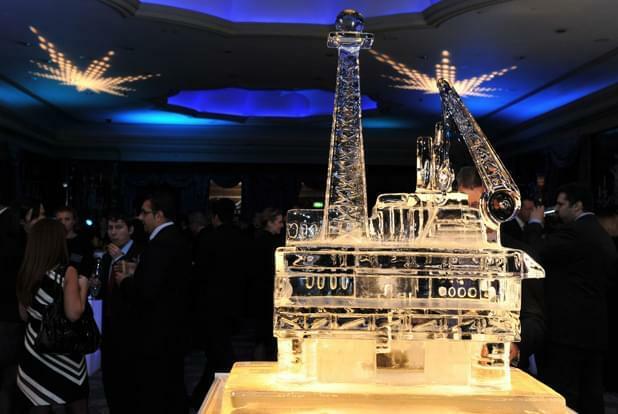 Dynamic Result: The international VIP guests were stunned at the beauty of the Tower Bridge ice bar and remarked at the detail of the Oil drilling rig. For the hosts of the event, they were delighted by the impact it created. The subtly integrated branding ensuring that their guests remembered their event above many others attended that week. Our clients were very pleased with the installation and professionalism shown again by the wonderful Icebox team.